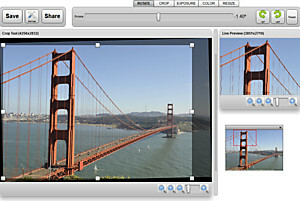 An experimental simple photo editor that pushes the limits of the Flash runtime using bytecodes of the AVM2 virtual machine that are not readily available in Actionscript. Edits to 64 megapixel pictures are possible here without any loss of performance right from the browser. Includes its very own high quality JPEG 4:4:4 encoding engine running also on top of the AVM2.